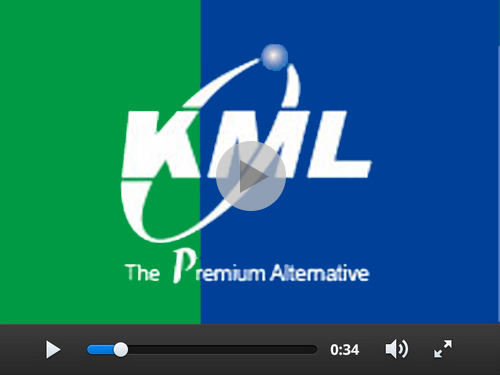 About KML-KML Bearings | A worldwide leading bearing supplier. The company with former name - "Premier Bearing and Equipment Limited" was established in 1980 as a manufacturer of high quality bearing products and processes.With over 35 years experience in power transmission, The company has developed high levels of technical competence.In 1987, Premier Bearing and Equipment Limited established its Research & Development Group in Hong Kong to develop low noise electric motor bearings. This product development process produced the first automated clean room for radial ball bearings in China.This process included cleaning, greasing and sealing the bearings in an entirely controlled environment which is essential for superior quality bearing products. In 1992, the brand name of KML was incubated in Dortmund, Germany, and registered for commercial development. Ever since KML had became the name of company and the brand we supply. KML has earned extensive customer recognition in the bearing and power transmission markets with its professional services. KML has developed customers in more than 57 countries and regions, including the North America, Africa, Europe, South America, Latin America and others. KML was ISO 9001 certified in 1999 and earned TS16949 quality certification in 2008.All KML supply chain organizations are ISO compliant facilities. KML Worldwide Operations maintains a highly trained customer service organization, which consist of the front line branches - KML USA, KML EU, Canada operation team, Columbia office, Indonesia office and Singapore office. With supported by China operation that includes KML International customer service center, logistic centers, joint ventures and licensed facilities. KML maintains the capability to provide one-stop and customized customer solutions for their bearings, power transmission, auto parts and truck & trailer parts. KML has been participating in the Earth Partner Program since 2005. This friends of the Earth administered program that promotes environmental protection, responsibility and commitment. KML along with its strategic partners and customers, are engaged in green programs to help protect our environment locally and internationally. We offer solutions to help create environmentally sustainable business practices and community lifestyles around the world.